The second objective of the project is to challenge the welfare state development and contentious politics literatures with the second research hypothesis. Research Question 2: What causes emerging markets to form this new welfare regime? Hypothesis 2: This new type of welfare regime emerges as a political response to the growing political salience of the poor as a dual source of threat and support for governments. Many scholars have observed two pendulum-like systemic shifts in the history of welfare systems. From poor relief to social insurance from the 19th century to the mid-20th century, and then from social insurance back to social assistance since the 1990s (Pierson 1994, Barrientos and Hulme 2010, Goldberg and Rosenthal 2002, Heclo 1974, Haggard and Kaufman 2008, Offe 1984, O’Connor 1973). We classify explanations for welfare development into two main clusters: political and structural explanations. For the first shift, the structuralist theories suggested that the welfare state expanded as a “natural” response to industrialization and urbanization (logic of industrialism) (Cowgill 1974, Goldthorpe 1969, Form 1979, Pampel and Weiss 1983) or to resolve the crisis of under-consumption following the Keynesian logic (Janowitz 1976, Garraty 1978, Offe 1984, O’Connor 1973). Scholars oriented towards political explanations have considered the first welfare systems as part of a strategy to contain political disorder and mobilize popular support (Katznelson 1981, O’Connor 1973, Olson 1982, Dawson and Robinson, 1963, Jennings 1979). Unlike in previous literature, literature on the second shift has been dominated by structural explanations, underestimating the effect of political—particularly contentious political factors. The dominant structuralist paradigm emphasizes demographic and economic changes and argues that the shift in welfare provision was essentially a natural result of aging, labour informalization, unemployment, globalization, deindustrialization, the rise of poverty and the rise of the service sector, all conditioned by existing institutional frameworks (Pierson 2001, Jaime-Castillo 2013, Hemerijck 2012, Ansell 2014, Farnsworth and Irving 2011, Franzoni and Voorend 2011, Hong and Kongshøj 2014). 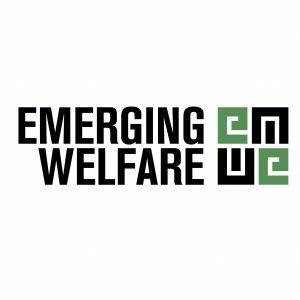 This project will challenge this structuralist paradigm and investigate the political causes of welfare transformation in emerging markets, which have determined the actual trajectory of welfare policy changes, mediated structural pressures, shaped specific policies and regulated the way benefits are distributed. The link between contentious politics, characterised by riots and social movements, and welfare policies has been underestimated. This project will measure the effect of welfare policy on contentious politics in the broad sense, in which people receive social assistance benefits for which they may or may not be struggling. The project contends that emerging markets deliver new welfare benefits not only because there are organized movements of the poor demanding these benefits, but also because there are “poor people’s movements” radicalized on other political, ethnic or religious grounds that need to be contained through violent and/or benevolent means (Piven and Cloward 1979). It will expand the literature by incorporating the joint social welfare effects of contentious collective actions and outside influences that do not bear directly on movement claims, i.e. the intended and unintended consequences (Tilly 1999). Accordingly, the second research question and hypothesis challenge the welfare state development and contentious politics literatures. H2 states that a global political economy, in which the poor have gained utmost political predominance as the main grassroots source of political threat to and political support for emerging market governments, countries have converged in providing extensive and decommodifying social assistance as the central element of a new welfare regime in a common strategy for the political containment and mobilization of the political power of the poor. Neither old theories of the development of the welfare state, nor contemporary structuralist theories apply to the case of emerging markets, in which new matrix of, mostly political, dynamics shape welfare development. The project acknowledges that structural factors are important, but they do not automatically dictate the form, content and trajectory of welfare policies. Rather, governments consider structural factors to the extent that such factors lead to the politicization of grassroots groups, which either threaten political stability or lend political support to governments. Structural factors present a range of possible policy choices, within which political actors seek most efficient ways to contain or mobilizing grassroots forces. This effort to decipher in a systematic way the historical mechanisms within which structural (economic and demographic) forces have been mediated by political processes is an innovative and ambitious contribution to explanations on welfare system changes. The project will also show that the poor are not passive victims of recent economic transformations, but instead are active political agents that shape welfare policies. By challenging, threatening, supporting or allying with the elites, the poor in emerging markets are now playing an historical role similar to what the poor played in the 19th century and the organized working class played in the early and mid-20th-century Europe. Thus, the project will not only will take us beyond the state-of-the art of welfare state studies, but will also be highly politically relevant.